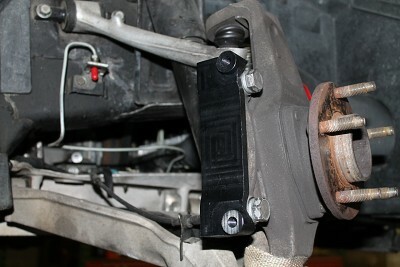 Safely lift the car and remove wheels. 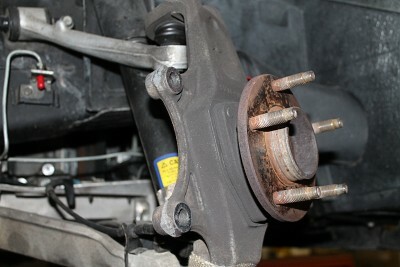 Remove the original brakes including the caliper, caliper bracket, pads, and rotors. 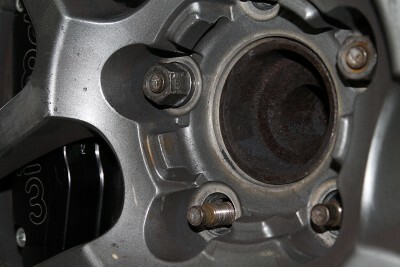 Inspect and clean hub surfaces and mounting holes as required. 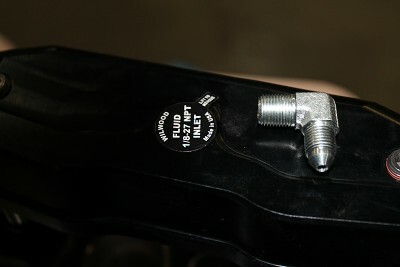 Using your caliper bracket bolts attach the brackets to the knuckle. 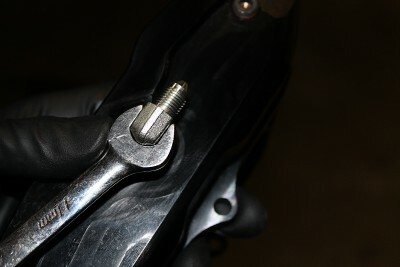 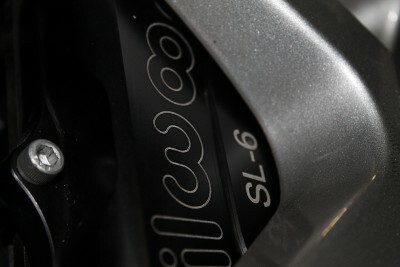 Note the bracket mounts to the rear of the knuckle and the bolt goes through from the outside. 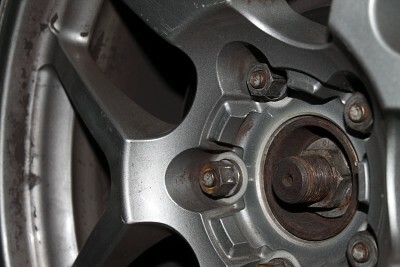 Install rotor and use a lug nut to secure it to hub. 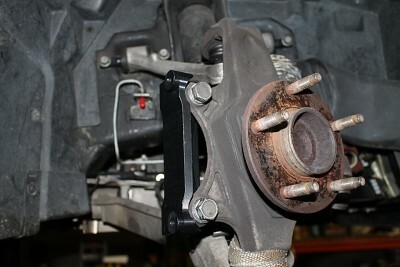 Install brake line fitting into caliper port. 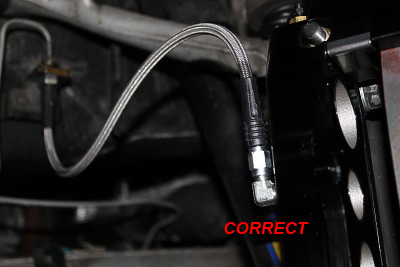 Fitting should point straight up for good brake line routing. 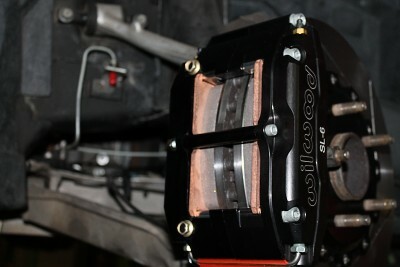 Install calipers onto the bracket studs and then install brake pads into calipers. 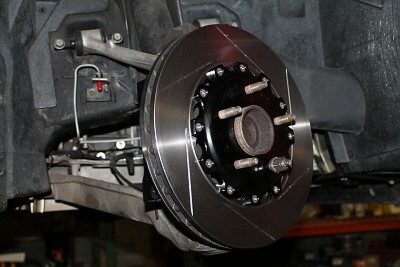 With pads installed check for proper brake pad to rotor alignment. 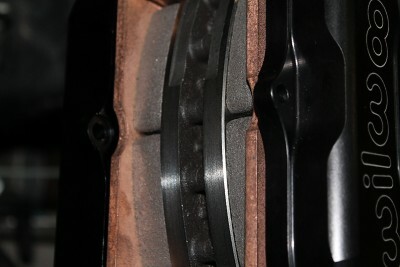 The pad outer diameter can vary from brand to brand so some leeway here is allowed. 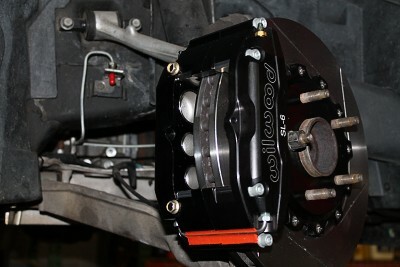 If pad is significantly too low on rotor you may have to shim the caliper outward. 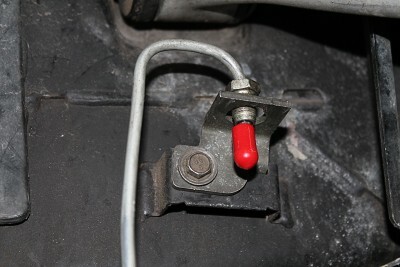 Attach brake lines to car hardline. 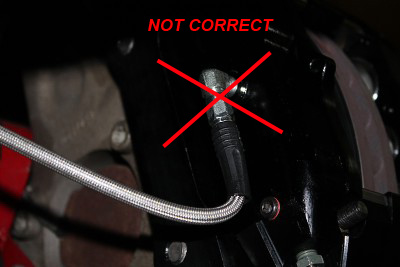 Do not overtorque! 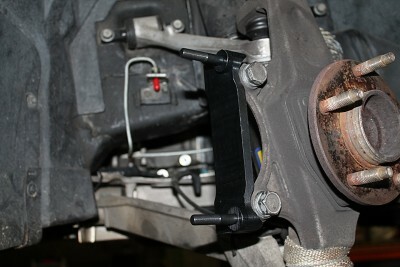 Attach brake line to caliper port fitting. 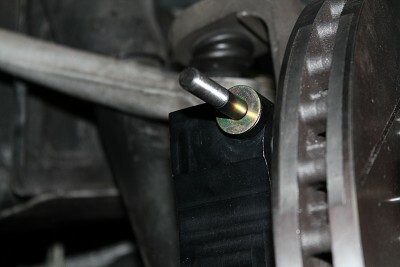 Insure good routing. 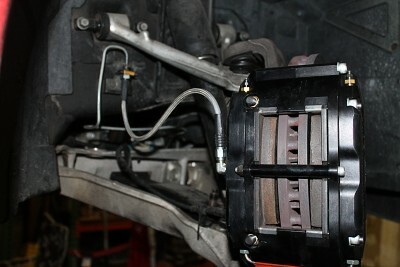 Now you are ready to add brake fluid and bleed your new brakes. 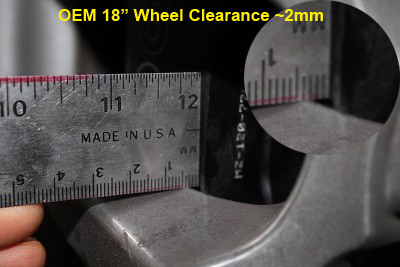 Check wheel clearance! 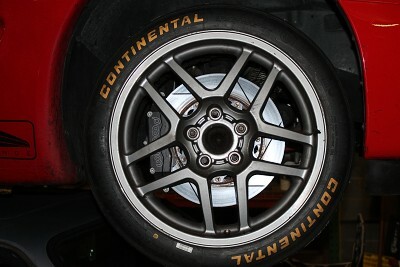 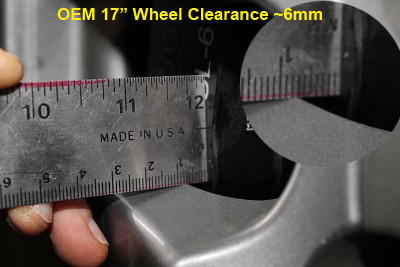 With KNS 2 piece rotors we observed the following clearance using either 17" or 18" C5Z06 Speedlines. 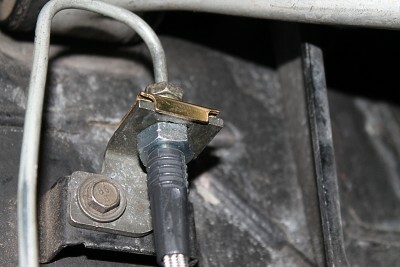 Double check your installation and carefully test your brakes. 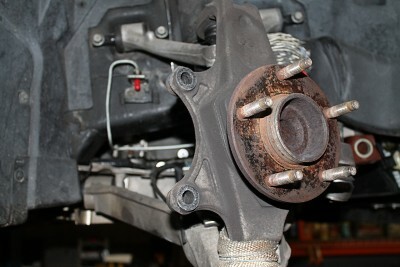 You may need to bleed your brakes more than once and follow good practice for breaking in your brakes.